This web site contains, for the time being, the largest selection of Albanian literature ever to have appeared in English translation. It comprises a wide range of Albanian authors from past and present, including writers from Albania, Kosovo and the Albanian diaspora. These translations are the fruits of over twenty years of research in the field of Albanian studies. Some were published, but most of them appear here for the first time. The collection can be regarded as representative for Albanian literature up to the end of the twentieth century. Compared to other Balkan literatures, very little Albanian writing has ever been translated into English. There are several reasons for this. Bulgarian, Serbian, Croatian, Bosnian, Macedonian and Slovenian literatures have profited by interest from devotees and experts in Slavic studies; Modern Greek literature has been dealt with at least on a marginal basis by academics and specialists in the Classics and Byzantine studies; and Romanian literature has been translated by scholars and aficionados of Romance languages and cultures. However, Albanian has remained to a certain extent beyond the pale - somewhat of an exception - as it does not fall into any of these convenient categories. Another factor which has undoubtedly had a major influence on the lack of interest in Albanian literature has been the traditional isolation of the Albanians and their culture from the world around them. The Republic of Albania was kept sealed off for almost half a century, from 1944 to 1990, by its Stalinist leaders, as if it were a planet of its own. Few outsiders were allowed in, and even fewer Albanians were allowed out. For many years, it was politically dangerous for Albanians to learn foreign languages. Kosovo, then part of the Yugoslav federation, was less hermetically segregated than Albania itself, but the Serb authorities in Belgrade, fearful of any challenge to their rule, kept the province under wraps and never encouraged outsiders to visit. As a result, few cultural contacts were made until Kosovo was finally liberated in the spring of 1999. 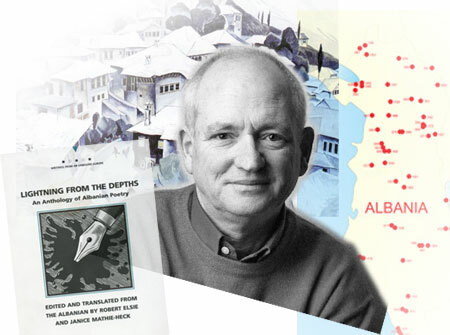 In addition to the historical and political factors, Albanian is not an easy language to learn, and there are few foreigners who have managed to master it sufficiently to be able to translate literary texts. The scarcity of translations of Albanian literature has, thus, nothing to do with a lack of quality in the original (although there are admittedly many works of dubious merit which would be better left untranslated), but simply rather with a lack of literary translators from Albanian into English. It is to be hoped that the situation will improve in the future. The written literature on this site is divided into three categories: (1) Early Authors (from the beginning of Albanian literature up to the nineteenth century); (2) Classical Authors (of the late nineteenth-century Rilindja period up to the Second World War); (3) Modern Authors 1 (contemporary authors from Albania); and Modern Authors 2 (contemporary Albanian authors from outside Albania, i.e. primarily from Kosovo, Macedonia, Montenegro, the Arbëresh settlements in Italy and the diaspora). In addition, come translations of Albanian oral literature. These are divided into: (4) Albanian folktales; (5) various collections and texts of oral verse; and (6) Albanian legends. I trust that these modest translations of mine will provide some stimulus for others to pursue the field and translate more works of Albanian literature. In this connection, I would like to thank Canadian poet Janice Mathie-Heck (musette@telus.net) of Calgary, Alberta, who has collaborated with me in numerous translations of Albanian literature, for her contribution to the preparation of these collections. The copyrights for the original texts lie with the authors and publishers in question. The copyrights for the translations lie with the translator. The translations in this anthology may be copied, downloaded and used for non-commercial purposes if the source is appropriately documented.